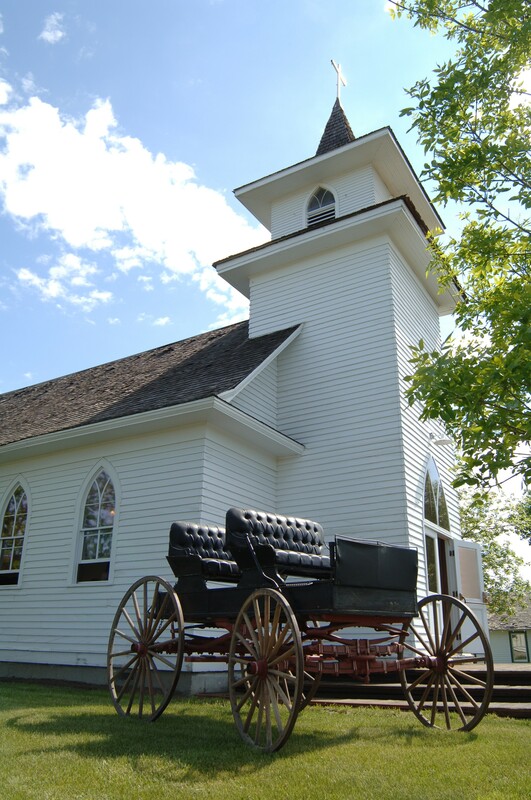 German settlers built the Evangelical and Reformed German Lutheran Church in Hardin in 1917. Intense anti-German sentiment in the community forced a brief closure during World War I. The church was saved from destruction by the Historical Society and was the first building to be moved to the newly established Museum in 1981. The original pews, pulpit and organ were found and reinstalled in the church. The church continues to be used for weddings and church services.